FICTITIOUS REGISTRATION—Tracy Lee Buck, 55, was arrested on Oct. 30 in the 1200 block of Church Street on suspicion of having fictitious registration. Police were called to the area for a suspicious vehicle and made contact with Buck, who was sleeping inside. Buck was cited and released at the scene. 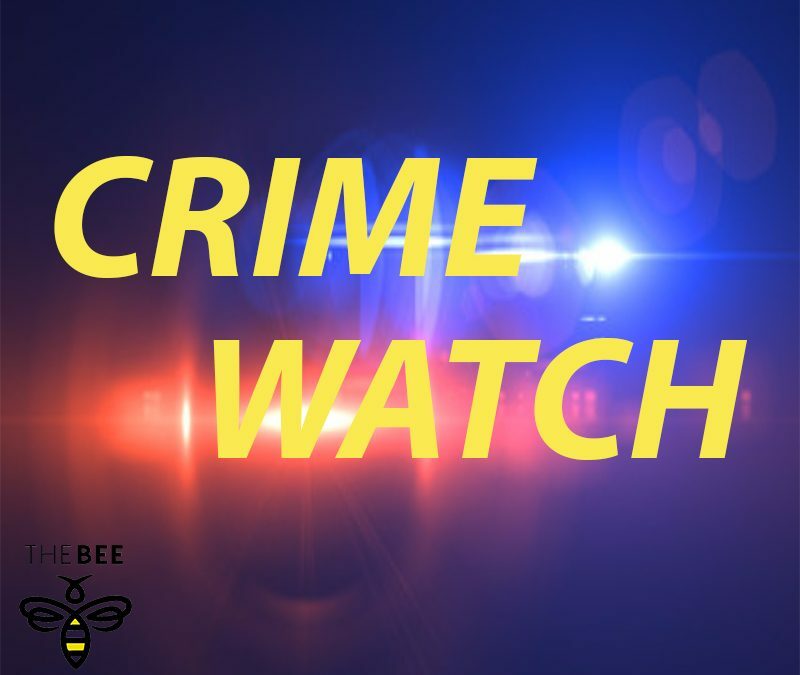 TRESPASSING—Corey Elizabeth Baldwin, 36, was arrested on Oct. 30 in the 1700 block of Arrowhead Drive on suspicion of trespassing per domestic violence. Baldwin reportedly crawled through a window of the residence and fell asleep in a guest bedroom without permission. The reporting party told police Baldwin use to stay at the house, but was no longer welcome there. She was taken to the Mohave County jail in Kingman. WARRANT—Adriana Vasquez, 24, was arrested on Oct. 30 in the 1900 block of Robson Circle on an outstanding misdemeanor warrant for failure to appear. She was taken to the Mohave County jail. DOG AT LARGE—Melanie Lynn Leusch, 48, was arrested on Oct. 30 in the 1800 block of Tejon Drive on suspicion of having two dogs at large. She was cited at the scene and released. WARRANT—Patrick Michael Oshea, 51, was arrested on Oct. 30 in the 1800 block of Clearwater Drive on a misdemeanor warrant for failure to appear. He was taken to the Mohave County jail. TRESPASSING—Charles James Holland, 42, was arrested on Oct. 31 in the 900 block of Safari Drive on suspicion of trespassing. Police contacted Holland at the residence where he reportedly told officers the homeowner had asked him to do yard work. Further investigation showed the homeowner did not know him and asked for him to be removed from his property. He was taken to the Mohave County jail. WARRANTS—Bryan Thomas Casto, 23, was arrested on Nov. 1 at the intersection of Coronado Drive and Tiger Lilly Lane on a felony warrant issued out of Las Vegas Metropolitan Police Department and a misdemeanor warrant for failure to appear issued out of Arizona Department of Public Safety. He was taken to the Mohave County jail. TRESPASSING—Michael William McGee, 66, was arrested on Nov. 1 at Safeway on suspicion of trespassing. Police were called to Safeway for a man on the ground. Medics arrived and triaged the man, identified as McGee. The store manager told police he had asked McGee to leave several times and he refused. Even when officers warned him about arrest and asked him to leave, he did not. McGee was cited and released at the scene. THEFT OF SERVICES—Samuel Eugene Crawford, 40, was arrested on Nov. 2 in the 300 block of Lee Avenue on suspicion of theft of services at a motel. Crawford reportedly checked out of his room the day before and then stayed in a vacant room without paying. He was cited and released at the scene. The following information was provided by the Bullhead City Police Department. All individuals are innocent until proven guilty in a court of law.